PennsylvAsia: Yu-Gi-Oh! : The Dark Side Of Dimensions (遊☆戯☆王 THE DARK SIDE OF DIMENSIONS) in Pittsburgh, April 14. Yu-Gi-Oh! : The Dark Side Of Dimensions (遊☆戯☆王 THE DARK SIDE OF DIMENSIONS) in Pittsburgh, April 14. 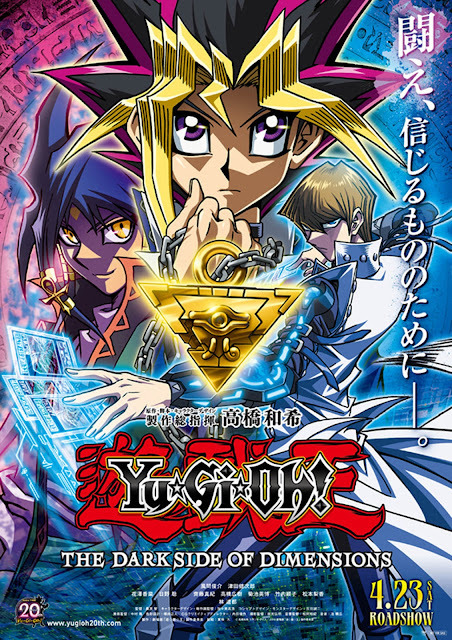 The Hollywood Theater in Dormont will show the 2016 movie Yu-Gi-Oh! : The Dark Side Of Dimensions (遊☆戯☆王 THE DARK SIDE OF DIMENSIONS) on April 14 at 4:00 pm. The movie opened at select Pittsburgh theaters in January.